Reports from human rights groups paint a dark picture of the use of torture in China’s legal system. Amnesty International just released its November 11 report, “No End In Sight: Torture and Forced Confessions in China,” detailing the prevalence of torture in China. Upon hearing this, Chinese Community Party fundamentalists will no doubt pitch their best tu quoque curveball, and yes, to an extent it’s unfair to single out China, since it isn’t the only nation that practices torture. On prominent cases is the U.S. detention camp at Guantanamo Bay. However, when the Pentagon refused to release the names of prisoners held there, the Associated Press filed a lawsuit under the Freedom of Information Act, something unimaginable in China’s political climate, and a federal judge ordered the Pentagon to comply. Besides, if protecting people from abusive harm is itself harmful to the system, this raises questions about the ultimate value of that system. Asking such questions in China, however, often provokes censorship, arrest and further torture. By all appearances, the state wants to be able to oppress the people of China without the intervention of lawyers, and without anyone voicing objection. According to a February 9 report submitted to the UN Committee Against Torture by Chinese Human Rights Defenders (CHRD), the main problem concerning torture in China is a lack of access to judges, doctors, and lawyers. First, CHRD notes, “detainees are not brought before a judge promptly, and the length of the pre-trial detention period has reached beyond legally permitted duration of time,” in some cases almost two years. 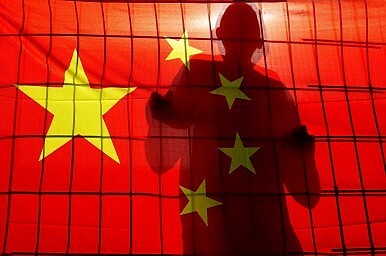 China continues to stonewall investigations into human rights abuses. UN Committee Urges China to Halt TortureChina Dismisses Amnesty's Death Penalty ReportEurope's Divided Approach to China and Human RightsChinese President and Saudi Crown Prince Hold a ‘Win-Win’ MeetingMaking China Communist Again?